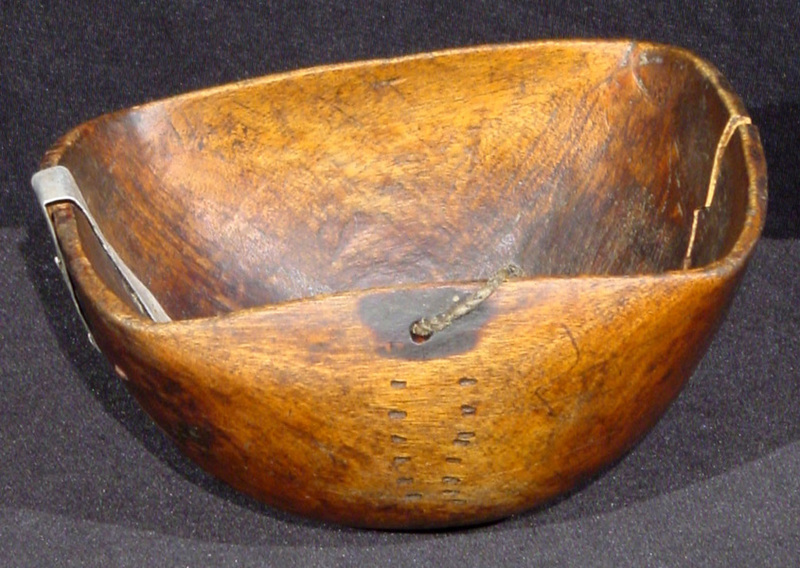 Pokot / Turkana tribes Small wooden bowl used by the Pokot and Turkana people of northern Kenya. The bowls are carved by the women using traditional tools and an indigenous tree for the wood. The small bowls were used to drink milk and soup from. 3 1/2" h, 7 1/2" x 5"